Last updated: January 16th, 2018 Finding the Vyvanse dosage that works best for your body is an easy way to start treating your ADHD symptoms, while also limiting the negative side effects that come from taking too much Vyvanse. Whether you’re prescribed 10mg, 20mg, 30mg, 40mg, 50mg, 60mg, or 70mg of Vyvanse, this guide teaches you how to hack the best Vyvanse dosage for your needs. 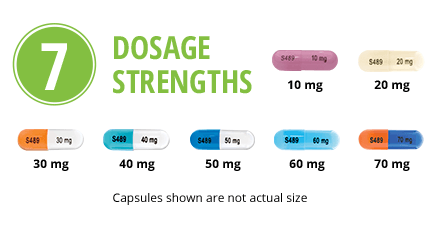 Side note: Vyvanse offers 7 traditional dosage strengths in capsule form (as shown in the image above). 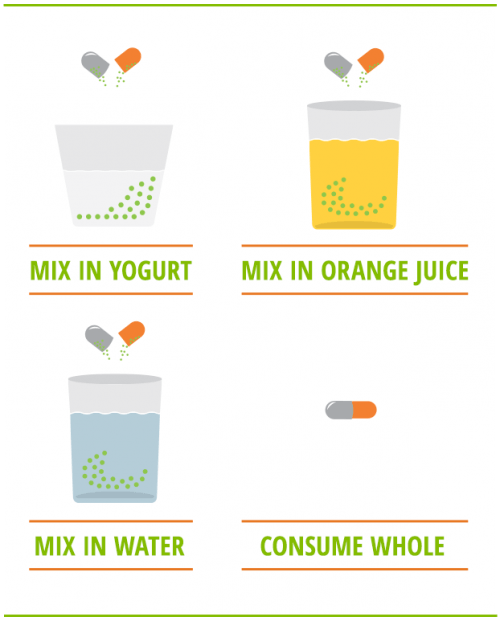 But, there are many other dosage options to choose from when you use this guide to safely practice medication titration (aka make “Vyvanse water”). Just follow the 7 steps in this guide to find the optimal Vyvanse dosage that gives you laser-focus, mental clarity, and peace of mind. To properly titrate your Vyvanse, you’re going to need a good stainless steel water bottle to drink from. While I’ve recommended using a plastic Blender Bottle in the past, I’ve actually found that plastic Blender Bottles do not work as well as toxin-free stainless steel options. 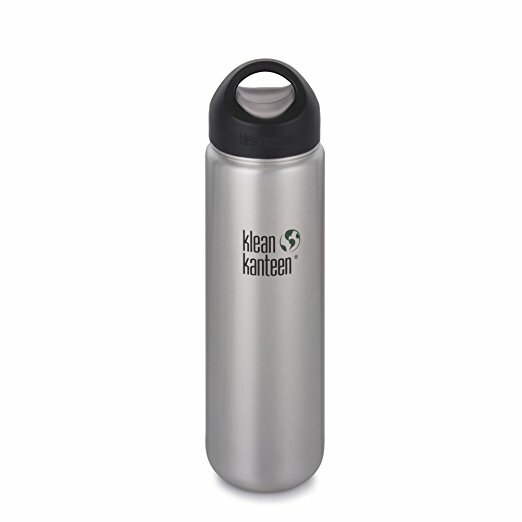 I now recommend that you use a Wide Mouth Klean Kanteen Water Bottle (Amazon), or something similar, as these water bottles are extremely safe, hygienic, and actually enjoyable to drink from. Any size water bottle is perfectly fine to use. The most important thing is that you use a wide mouth water bottle, as this will make it much easier for you to pour Vyvanse into your water bottle. 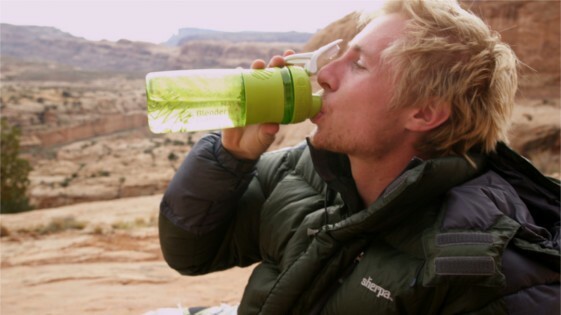 Note: When I originally published this article, I recommended using a Blender Bottle 2 pack (Amazon) – because this is simply what worked best for me at the time. While I still think that Blender Bottles are perfectly fine to drink from, I think that drinking from stainless steel is generally a little bit better for your health. 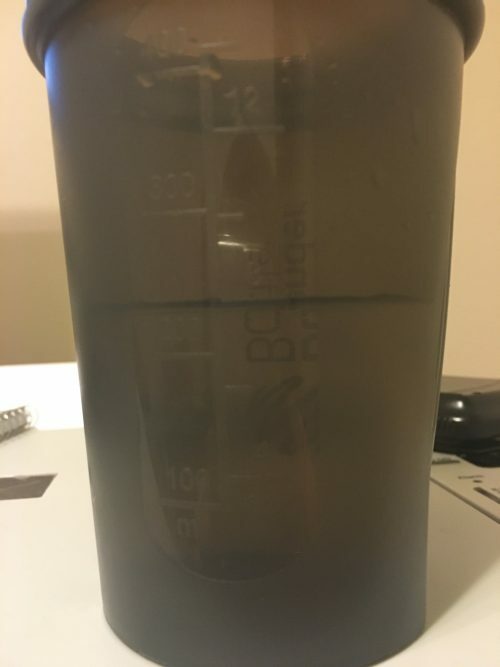 For the remainder of this article, the pictures will show that I use a Blender Bottle to perform my Vyvanse titration hack (as this is what I drank from at the time). 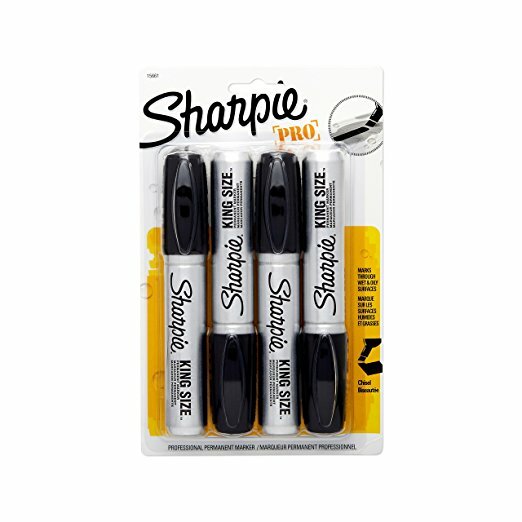 Consider using a Sharpie to write ‘Medication’ on your water bottle. This will become your ‘Vyvanse water bottle’. Do your best to make it crystal-clear that your water bottle contains medication (use big and bold lettering). Labeling your water bottle is pretty much a must if you live with family members, or have roommates, since you’ll need to keep your Vyvanse water bottle cold by storing it in a fridge. If you live alone, it’s still a good idea to label your Vyvanse water bottle anyway. You don’t want a drunk house guest chugging your Vyvanse water at two in the morning (it could happen). Rinse your Vyvanse water bottle if it’s your first time using it. 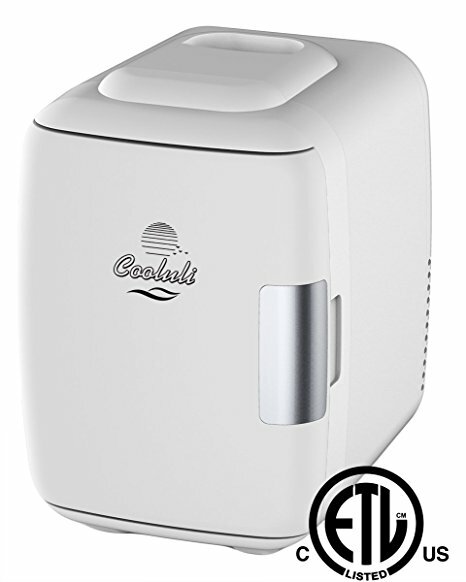 Then, fill it with cold drinking water. Don’t worry about using the swirly metal ball that comes with your Blender Bottle (if you’re using a Blender Bottle). You can just set that aside for later use. The amount of water that you use in your Vyvanse water bottle isn’t that important. But, I like to fill mine with 8 oz of water, because it’s an even number that’s easy to remember, and isn’t too much liquid to drink. Blender Bottles have clear measuring lines on them. So, it will be easy for you to know exactly how much Vyvanse water you’re making. Side note: Klean Kanteen water bottles (Amazon) don’t have measuring lines on them. If this a problem, then you might want to stick with a Blender Bottle 2 Pack (Amazon) or a similar water bottle that makes it easy to determine how much Vyvanse water you’re guzzling down each day. 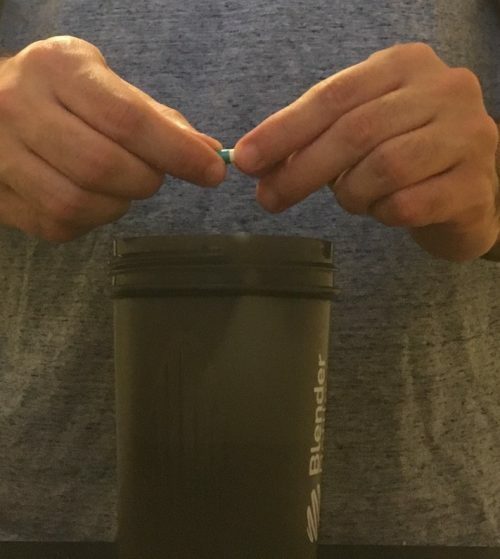 Slowly twist and pull each end of your Vyvanse capsule until it splits in half. You want to do this with your hands almost inside of your water bottle. Once your Vyvanse capsule is popped open, just pour its powdery contents directly into your Vyvanse water bottle. This is a delicate process, and you don’t want to waste any of your precious ADHD medication by spilling it. Once you’ve poured your Vyvanse powder into the bottle, simply twist the lid back onto the bottle. Then, make sure to shut the cap tightly until you hear a loud ‘click’ sound. Now you’re ready to shake the bottle. Now that you’ve made your Vyvanse water, you’re ready to begin titrating your medication. Medication titration is just a fancy term for finding the dose of medication that works best for your body. So, to find your most effective dose of Vyvanse, start by drinking the minimal amount of Vyvanse water that you think will have a positive effect on your ADHD. You don’t have to be perfect here. Just try to be conservative at first. For example, when I first took Vyvanse, I drank 3-4 oz of Vyvanse water in the morning. This is equivalent to taking 15-20mg of Vyvanse based on my 40mg Vyvanse prescription. Because I’m currently prescribed 40mg of Vyvanse, and I fill my Vyvanse water bottle with 8 oz of water, drinking 4 oz of Vyvanse water is the same as taking 20mg of Vyvanse. This step is ultimately about finding your best beginner’s dose of Vyvanse. It’s important that you start by drinking a small amount of Vyvanse water, because you will always have the option of increasing your dosage the following morning. Always store your leftover Vyanse water in a refrigerator. If possible, it’s good to store your Vyvanse water in a personal mini fridge so that you don’t have to worry about someone accidentally drinking your Vyvanse water and freaking out. Keeping your Vyvanse water in a refrigerator will preserve your medication, and keep it safe for at least a few days. Some people even like to freeze their Vyvanse water so that they can take their medicine to work with them. I haven’t actually tried freezing my Vyvanse water because I haven’t felt the need to do so. But, if freezing your Vyvanse water works for your lifestyle, that’s great. Adjusting the amount of Vyvanse water that you drink each morning is how you will find the dosage of Vyvanse that works best for you. I spent many months drinking 4 oz of Vyvanse water each morning (the equivalent of taking 20mg of Vyvanse daily based on my prescription). And, I eventually found that this was the absolute most effective dose for me. Taking 20mg of Vyvanse actually eliminated my heart palpitations and some other side effects I was experiencing. So for me, finding the optimal Vyvanse dosage was life-changing. However, you will have to find the dose of Vyvanse that works best for your body. This is a process, and it will take some time to find your ideal dosage of Vyvanse. But, it will be worth it. I promise. Once you know the Vyvanse dosage that works best for your body, you can continue to take it daily. I take Vyvanse every day except Sunday. I would take it every single day if I could. But, I find that my brain needs at least one day off of Vyvanse for best results. Overall, finding your ideal Vyvanse dosage is pretty important when you first start taking Vyvanse. If you’re sensitive to medication, then it will be especially important for you to find a precise dosage of Vyvanse that works for your body. Eventually, your body will become more tolerant of Vyvanse, and you might even come to a point in your life where you simply swallow your Vyvanse capsule whole. There’s obviously no problem at all with taking Vyvanse as it’s intended to be taken. But, using medication titration to drink Vyvanse water each morning is just one option that works great for many people, and it’s absolutely worth considering. Either way, you’re going to have to find the Vyvanse dosage that works best for your body, and that will require a small learning curve. I hope that this article helps you adjust to the lifestyle of taking Vyvanse for ADHD. I’m passionate about doing whatever works best when it comes to ADHD treatment. And, I hope that you decide to subscribe to my free e-mail list so that I can give you more awesome content like this.